Thank you so much for the updates, @SimGuruNick ! Should we still be expecting that culling is unhoused/unplayed only, but now unhoused/unplayed/unprotected only, or does the new mechanism replace that earlier one? Any household in the "Other HH" tab is susceptible to culling, so yes this basically replaces the old mechanism. Just because a Sim is housed does not mean they are protected, if that household is under "Other". That being said, just because a household is in the Other tab does not mean they will be immediately and 100% culled, only when it is necessary for the game to do so. 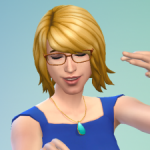 Also, if your active household has rel with a Sim who got culled, the household will receive a TNS from said Sim stating "hey I'm leaving town, see ya" or something similar. edit: Just wanted to add that you'd only see the TNS if the culled Sim was living in the world, not if they're a townie/homeless Sim. Thank you @SimGuruNick ! Very helpful explanation! And I'm so happy about played sims always generating tombstones now and the control we have over how long the ghost stays!!! So happy! I'm so happy about the updates. Oh well, they just got better!! I wonder if there's a low-key secret "pool" for family trees or if they're completely protected forever? 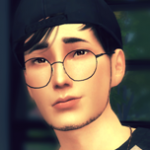 I have a lot of ghosts I sorta want to do away with, but I haven't skimmed every single sim's tree to see if they're important to save or not... And I rather would like to delete them if their portraits stay in the family tree anyway. Oh, this is wonderful! The tombstone on lots where a housed Sim dies when the lot is not active--this is a huge improvement! Why was this not mentioned in the Patch Notes?! That's OK, I forgive you. 575 Sim count, whooop whooop!! You said Sims in the family tree shouldn't be deleted. Is there some conditions for that ? 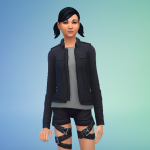 Like a limit on the number of generations, or being a favorite Sims at the time of death ? 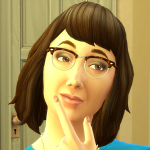 If I launch my game, will my non-favorite Sims keep their non-favorite great-grandparents for example ? What about great-grandparents of favorite Sims ? ETA : From what I'm seeing, Sims in the family tree can be assigned to the MINIMUM LOD but it has a cap of 100. Is there something else to keep thumbnails in the family tree when you've got more than 100 of them ? Oooh, I'd also like to know how long the timer runs! In case you're not aware Livin in Sim, you can set up MCC to notify you when inactive Sims die. It would be great if we got a notification like in TS3 when someone was about to die. If you have more than 575 protected Sims (so basically you have chosen the Unlimited option and you've got a really really powerful computer), you'll have your protected Sims, and the townies, NPCs will get culled all the time. The townies, NPCs who aren't favorites have a bit less going on simulation wise than favorite Sims so choosing a lower cap will help with performance, even if you have lots of townies. They REALLY need to give us an option to turn off random sim generation. I have put countless hours into hand crafting my save file's sims and townies and before this latest patch, with the help of my 200+ created townies and mcc i almost never got a random sim generated, because my game didn't need it. Now however, since launch day the game has generated approx 160 sims for my game. I do not want nor do i need these sims. Something needs to be done asap.. it ruins my game play when im doing sim stuff with my favourite sims and these random sims come around. I cannot be the only person with this issue nor the only one finding it stressful. If the game is creating new Sims, it needs them, it's the way it's programmed. 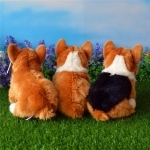 When you go to the vet for example, it looks for Sims that match some filter (like having a pet). If there isn't any, it will create one. 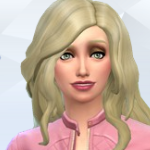 Sometimes the filters are a bit more complex (traits, age, at work or not, played or not, etc), so you may lack some specific types of households, that the new EP needs. When will we be able to delete sims from manage households again? I prefer to do my own culling as needed. This drives me crazy, now we can't delete them. I spent yesterday fixing these creatures, all I can do is fix them as they come along. It needs to use the townies we already have. We don't need a hundred townies. That's nuts. There's no longer a bug in the My Households count. 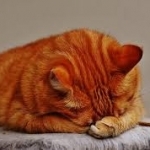 @catitude5 Delete away! That's fixed now too. Question: I have some questions about the maximum world sim count.. I read on here that the max sim limit is 575. But what about the 200 Max sim count on the game? Is that the same thing or something totally different? If I set the unlimited count, will it totally mess with my game? and does the culling happen no matter how many sims you have? I have 192/200. Sorry for all the questions, I am just concerned for the fate of all my sims. The maximum world population - both Sims you can see and those you can't - is 575. The maximum number of Sims you can protect from culling (by having them in "My Households" is what you choose for the My Households setting. The culling happens when the first number - the one the game isn't actually going to show you (but you can use mods to see it) - exceeds 575.